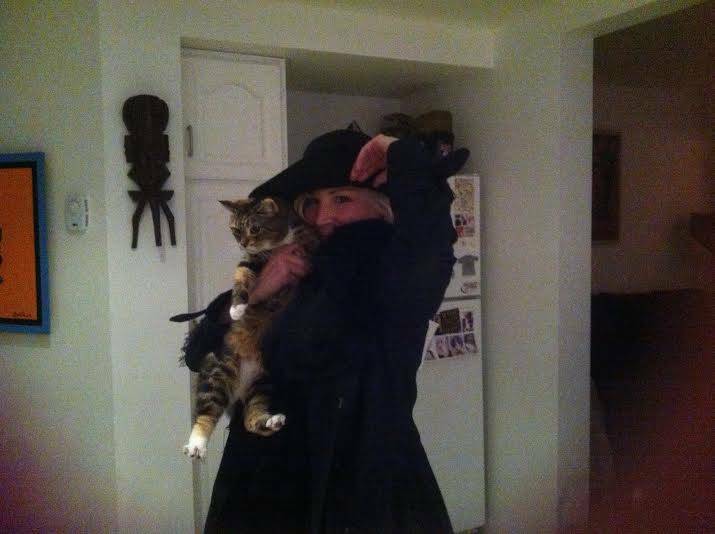 My band is Catlow. 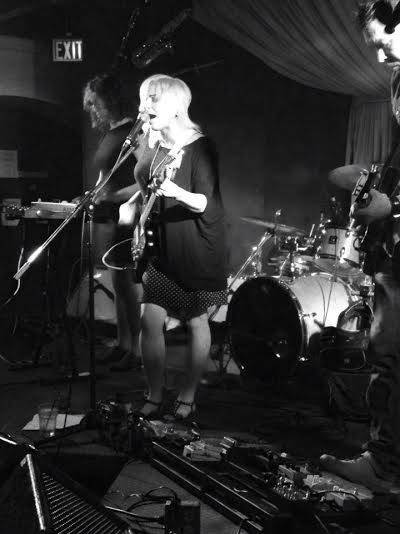 I, Natasha Thirsk, play guitar and sing, Jay Slye plays other wicked guitar, Squid plays bass, Barry Higginson plays drums, Laurel Borrowman plays glockenspiel and keys and Emily Bach plays violin. 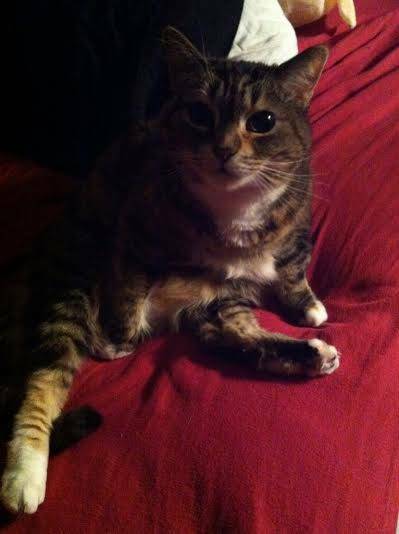 Her given name was Toes or Tounces (the driving cat from Saturday Night Live)but when she was passed down to me I started calling her Kitters. So Kitters it is! 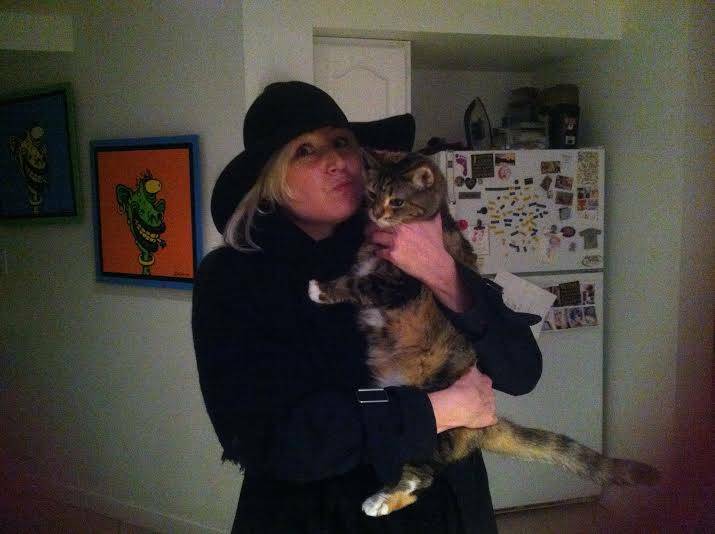 Originally my folks had her but then my brother took her when he moved out to Vancouver and she was peeing on his roommate’s clothes (I can’t believe that!). Maybe he wasn’t nice to her, she is reaaallly friendly. So my brother asked if I could take her. My li’l pup had just passed away and she really did a good job of cheering me up. Still does. It’s been seven years now with the li’l darlin. She loves canned cat food but I give to her as a treat or she meows a lot. Mainly dry but she’ll eat chicken sometimes and occasionally a mouse. “Take a Walk on the Wild Side” by Lou Reed. The only scheme she is hatching is to get me to work less and spend more time cuddling. When Things Fall Apart by Pema Chodron. A lady buddhist monk. A must-read. What is the most impressive thing that your cat has murdered? Well I don’t know what kind of bird it was or where it went but I came in the door of my house one times to the whole kitchen full of black feather so… maybe a crow?? 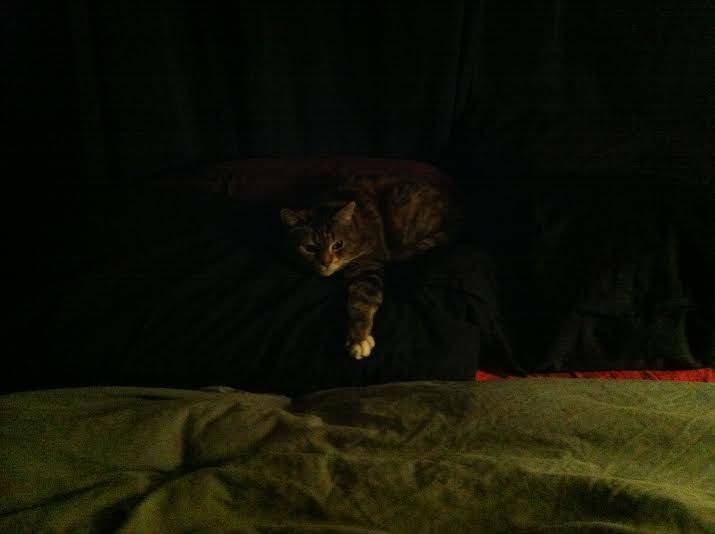 Where is the last insanely adorable thing you caught your cat doing? A friend of mine fell asleep on the couch and Kitters went right up and went to sleep on his lap. He didn’t notice ’til hours later, when he woke up! 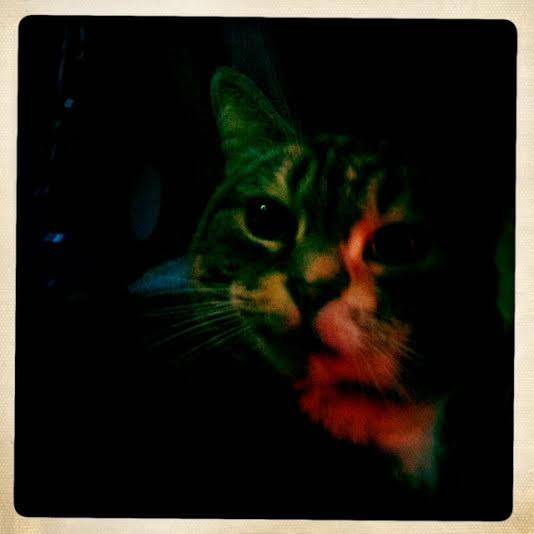 What type of music does your cat listen to when it’s getting ready to prowl? 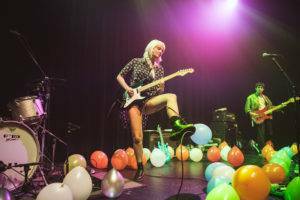 Before she prowls she listens to Stevie Wonder, Death from Above 1979, and Phoenix. Try to escape or explore. I haven’t let her out since I moved. I didn’t want her to run away and get lost. Then she would look for other cool cats to hang with in the neighbourhood. She liked to do that. Usually have some tomcat waiting around for her. The sweet little devil. 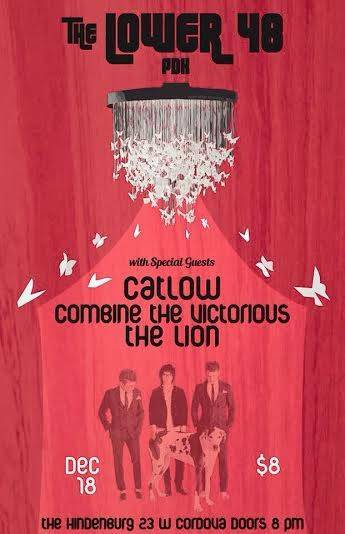 Catch Catlow Dec. 18 with The Lower 48, Combine the Victorious and The Lion at the Hindenburg. 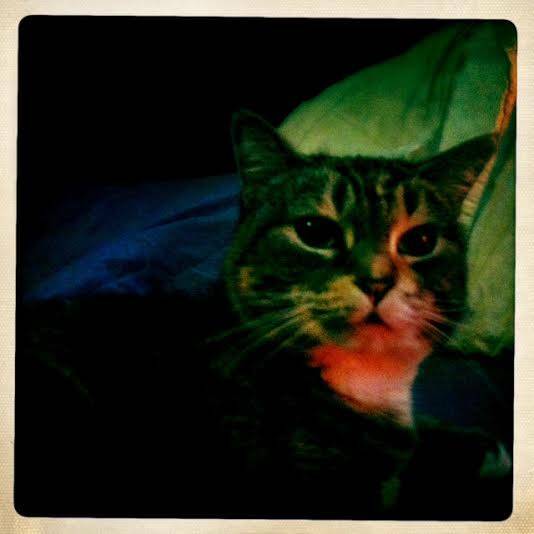 This entry was posted in Bands With Cats and tagged Catlow, Natasha Thirsk, Vancouver bands. Bookmark the permalink.